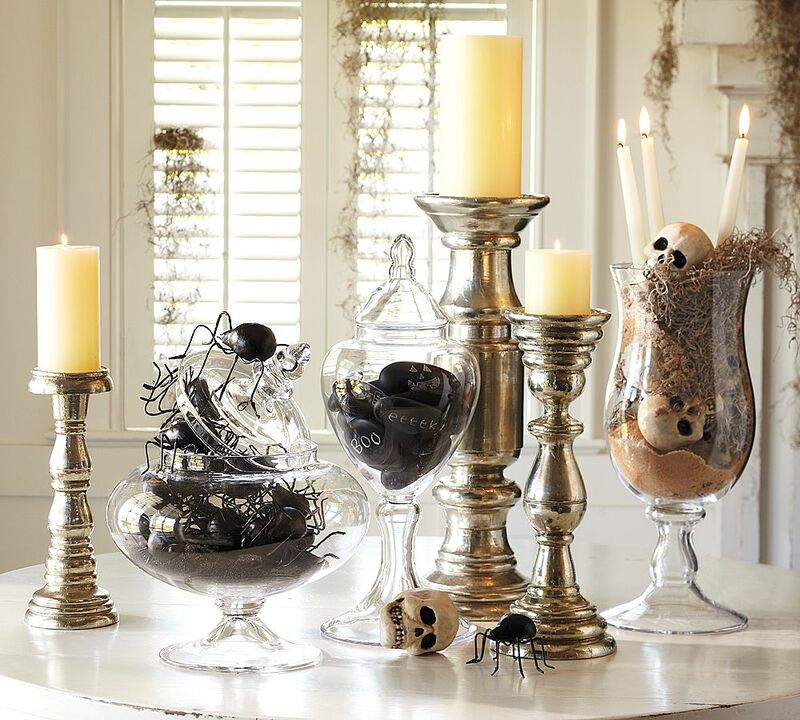 Great example from Pier 1 Imports. 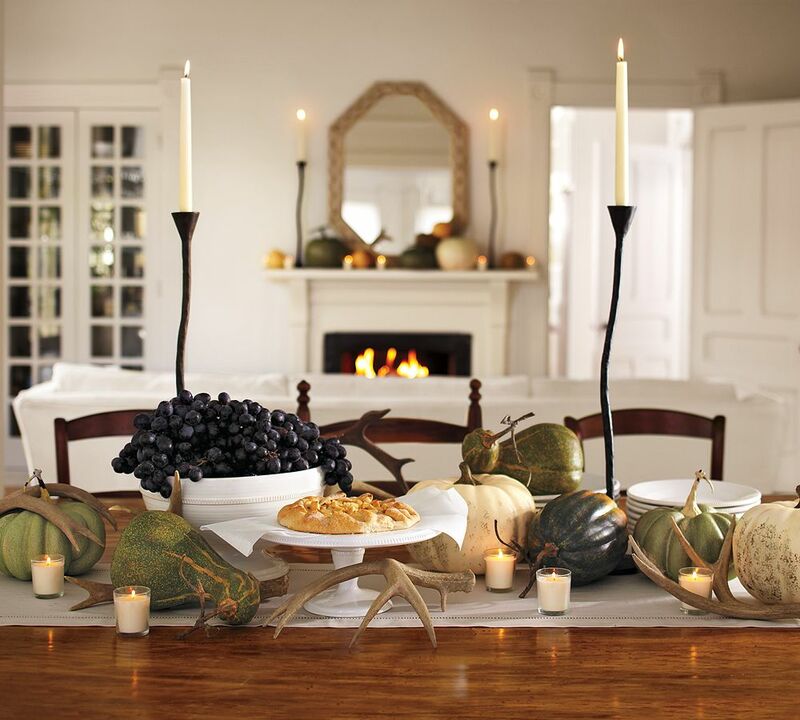 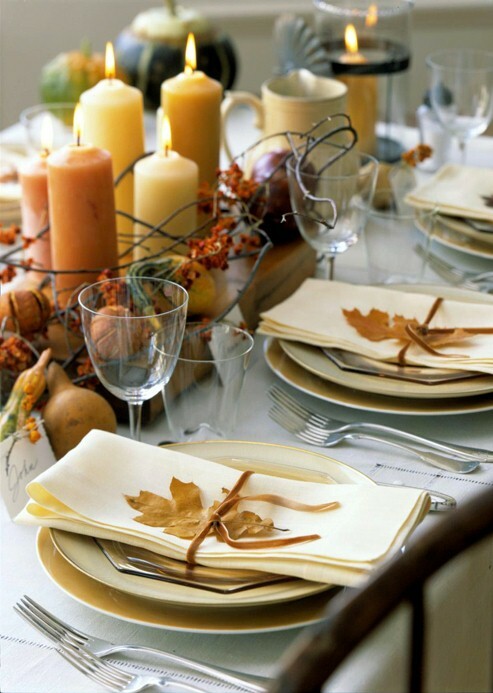 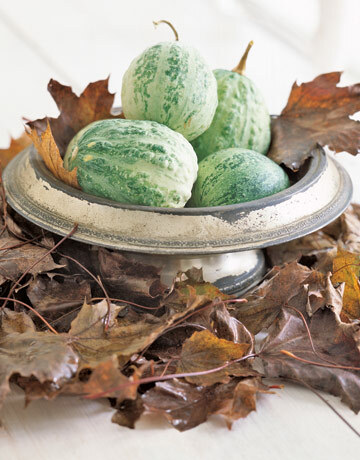 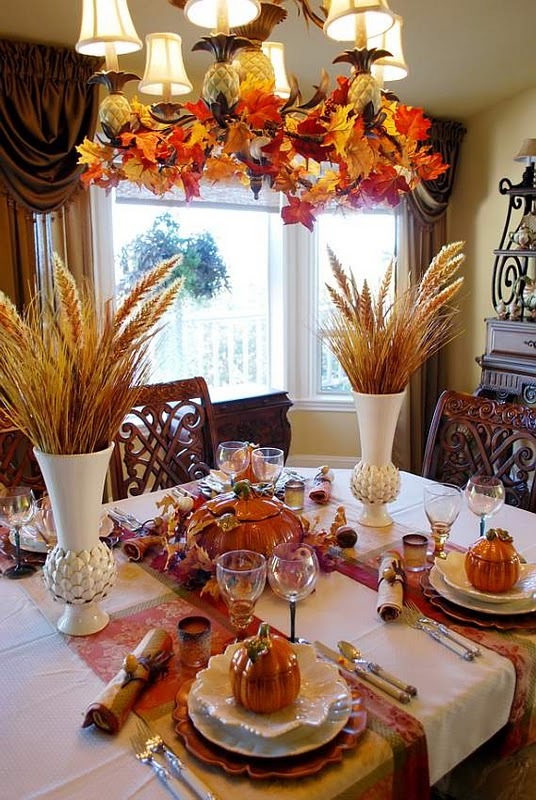 The great thing about pumpkins and branches in your decor is that you can keep them out through Thanksgiving. 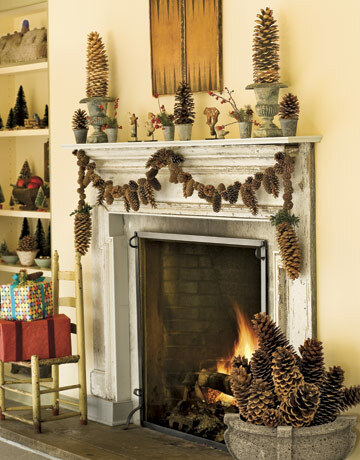 In fact, branches can be used through Christmas by adding lights and ornaments, and then bare branches are great through January as well. 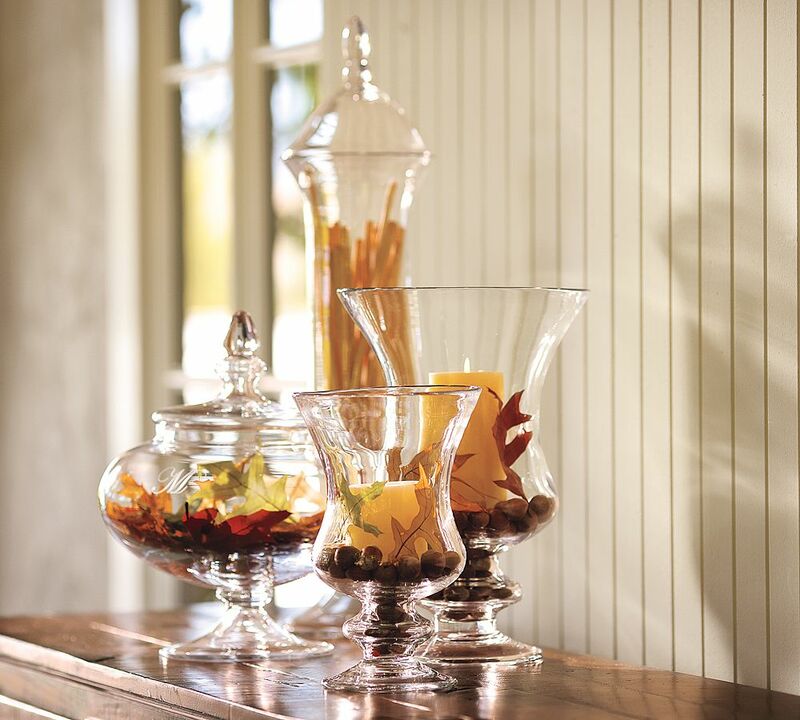 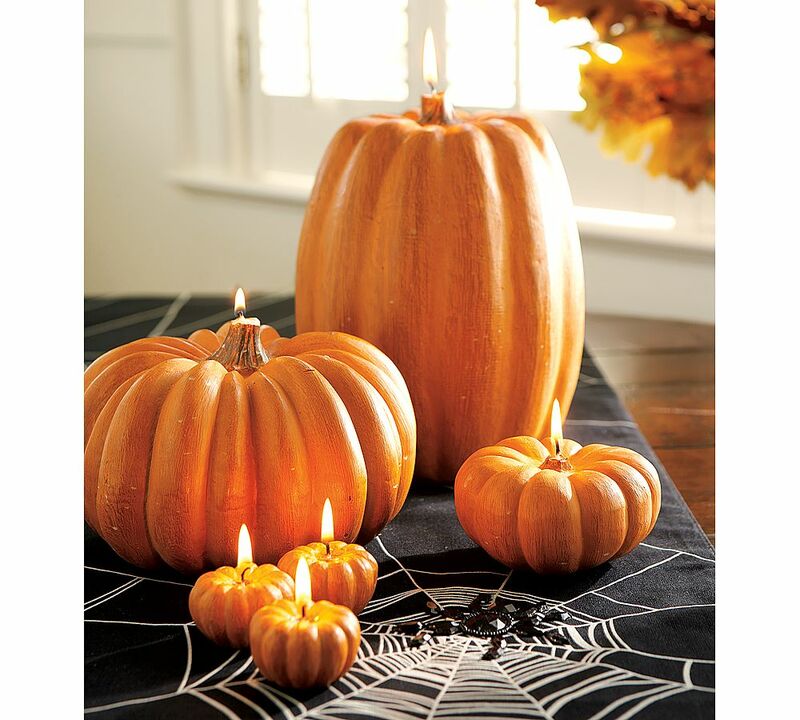 Fall is a great time to add branches and pumpkins in your decor. 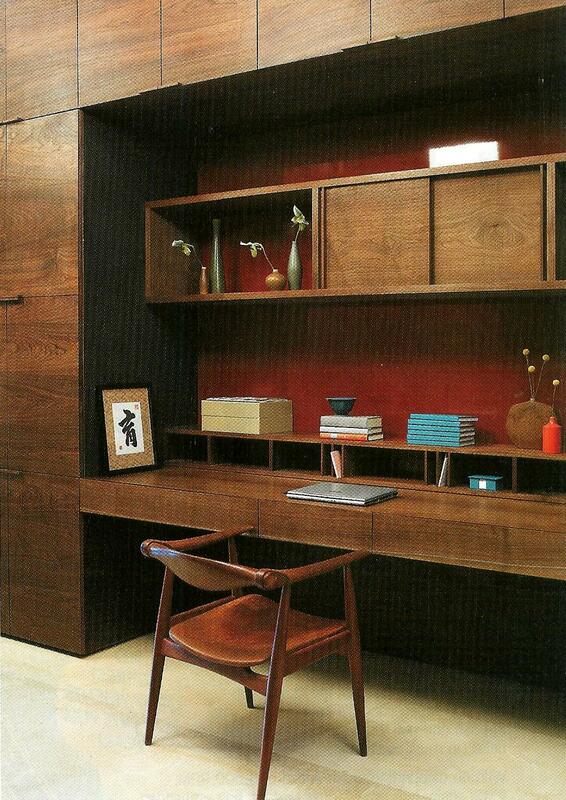 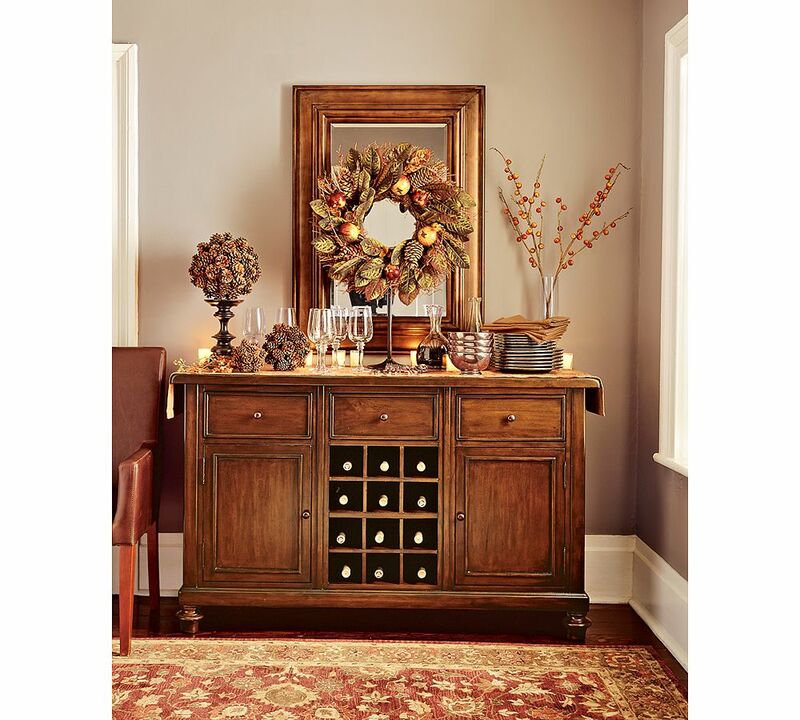 Your entry way is a great place to start, and prioritize. 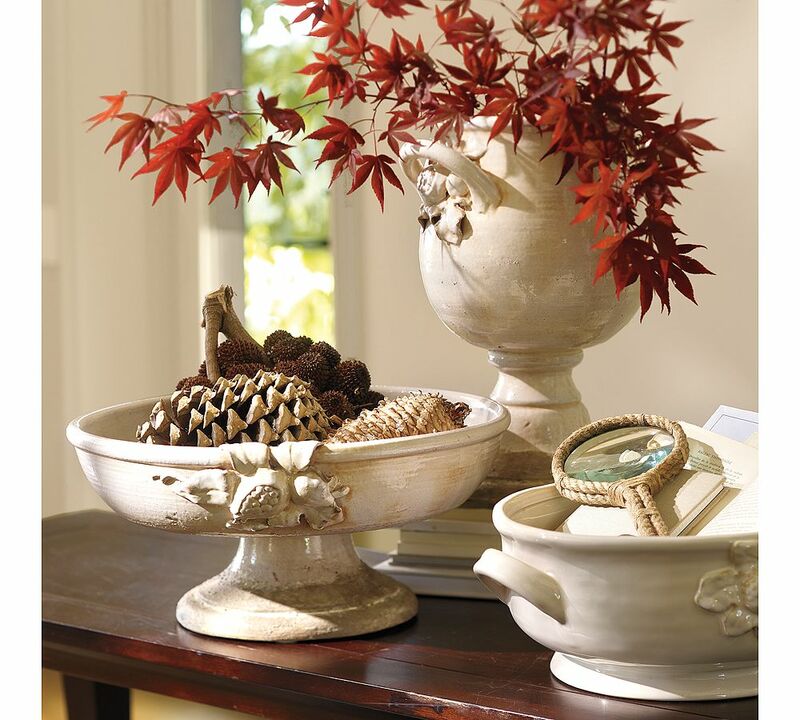 Photo source: Pottery Barn. 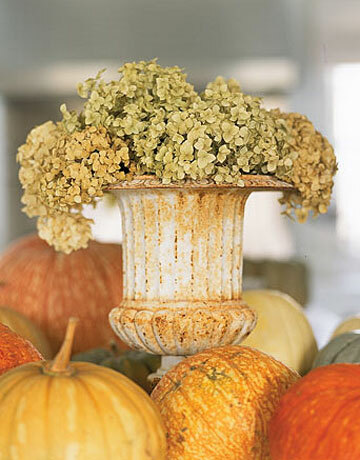 Changing out your pillows is a simple way to dress your interior for fall. 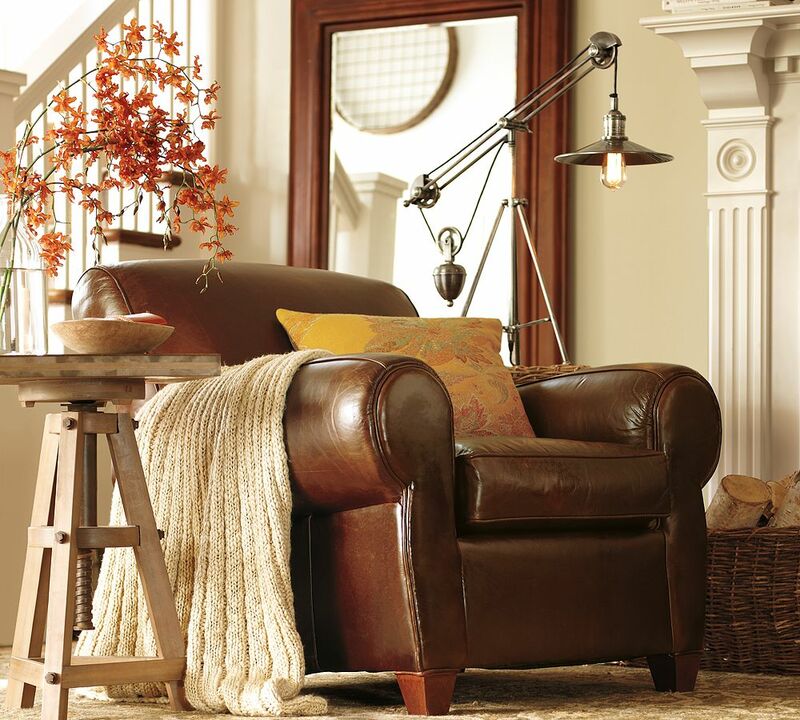 Source: Pottery Barn. 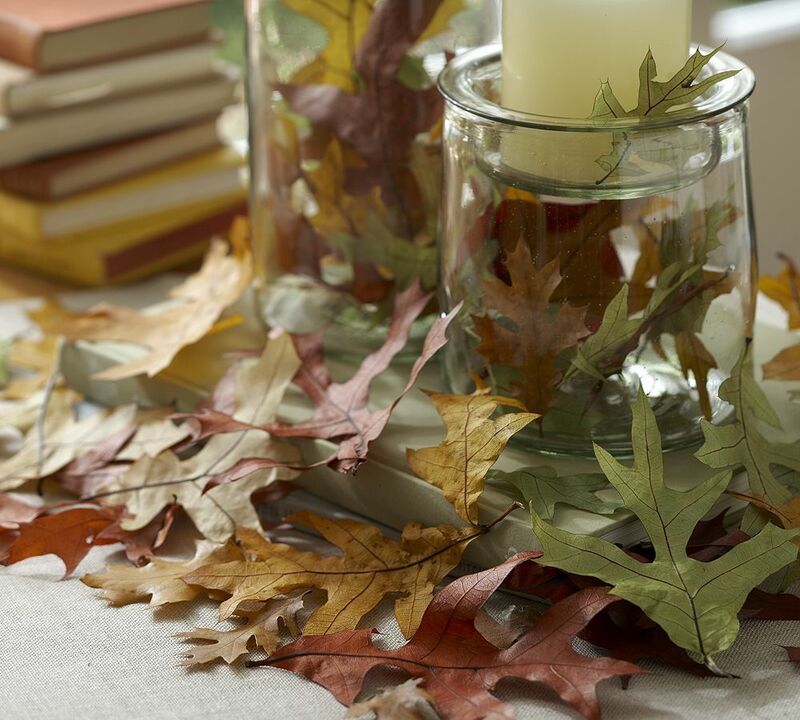 Prep your pillows for fall decorating. 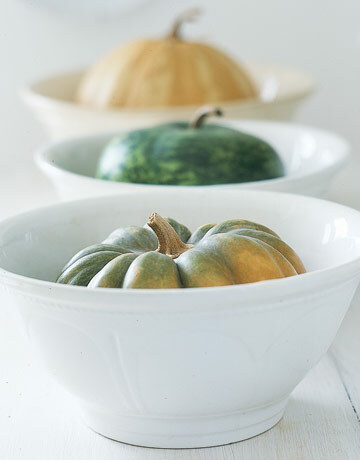 Photo source: Pottery Barn. 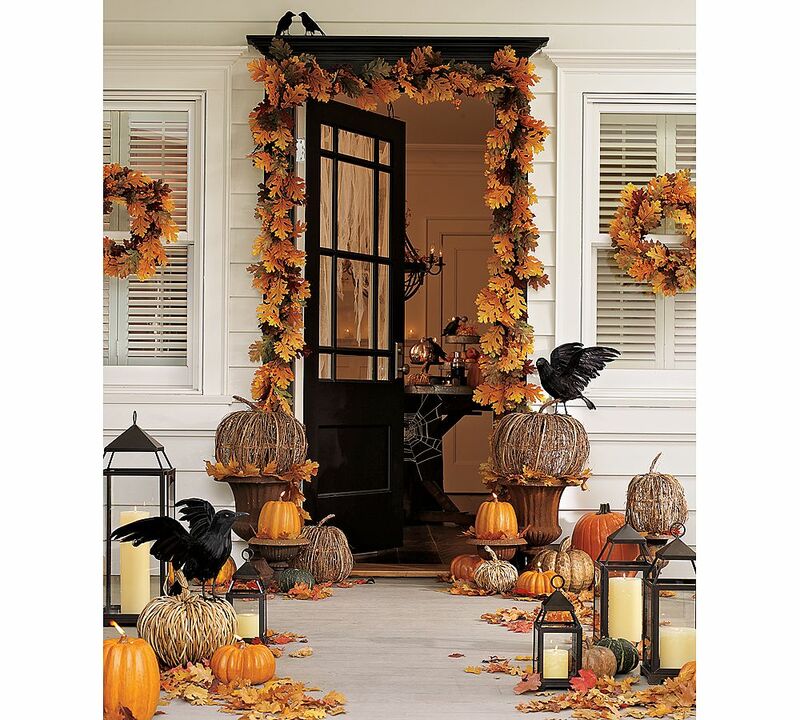 Or even adding a pop of orange with branches and silks. 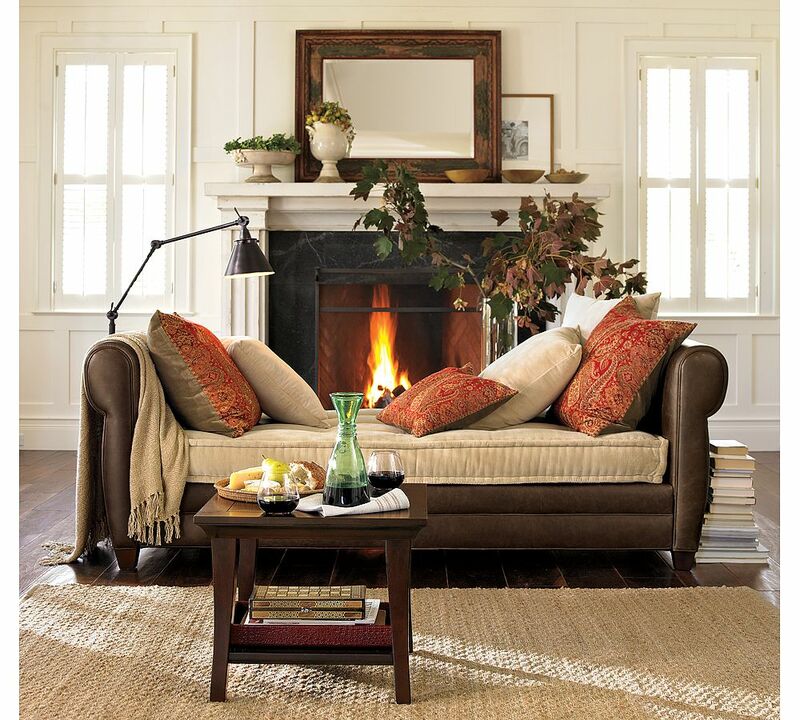 Source: Pottery Barn. 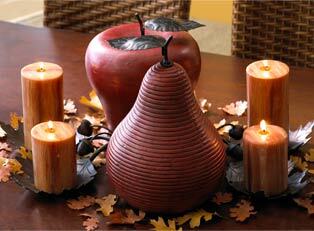 Autumn is a great time to bring in the outdoors, including pumpkins, gourds, pine cones, fall leaves, branches, etc. 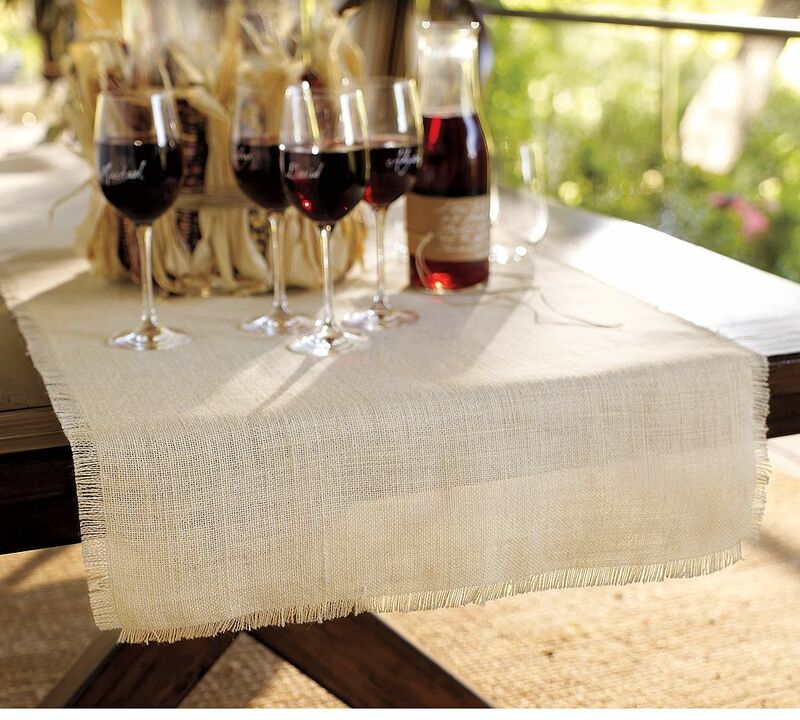 This Pottery Barn jute tablerunner can be purchased for $29 - $39.00. 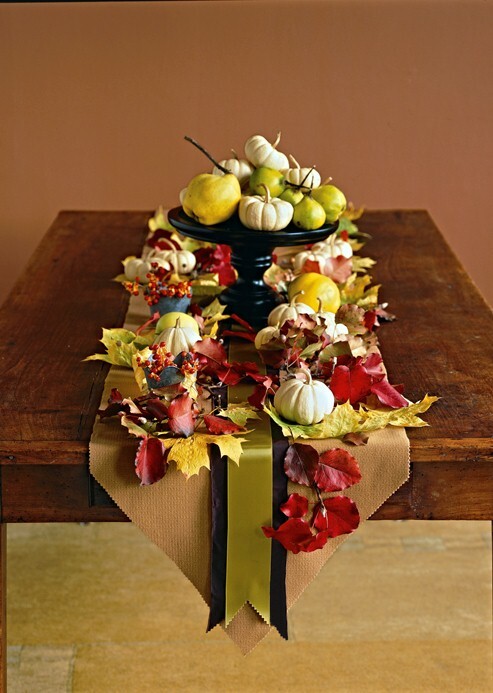 Garland as table center piece. 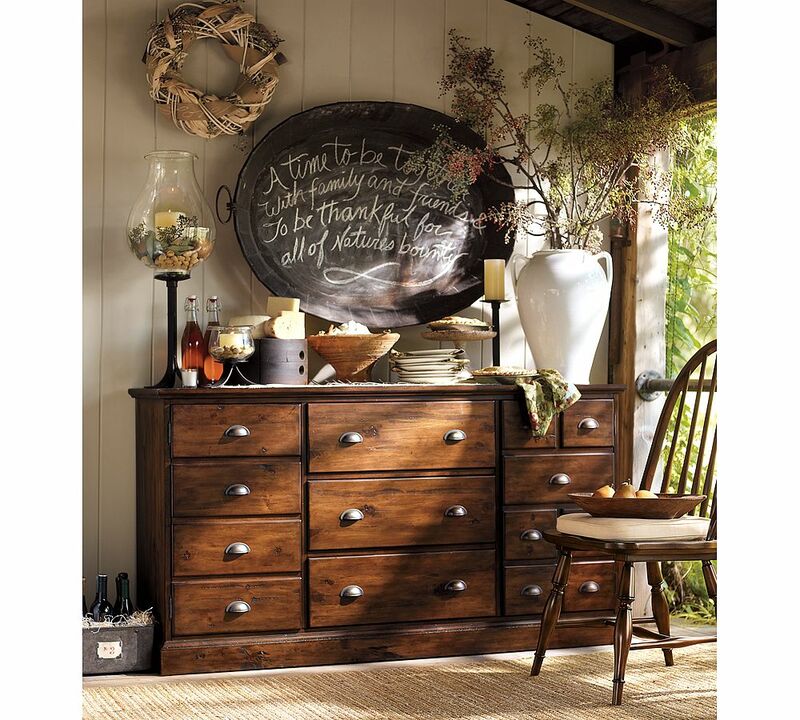 Source: Pottery Barn. 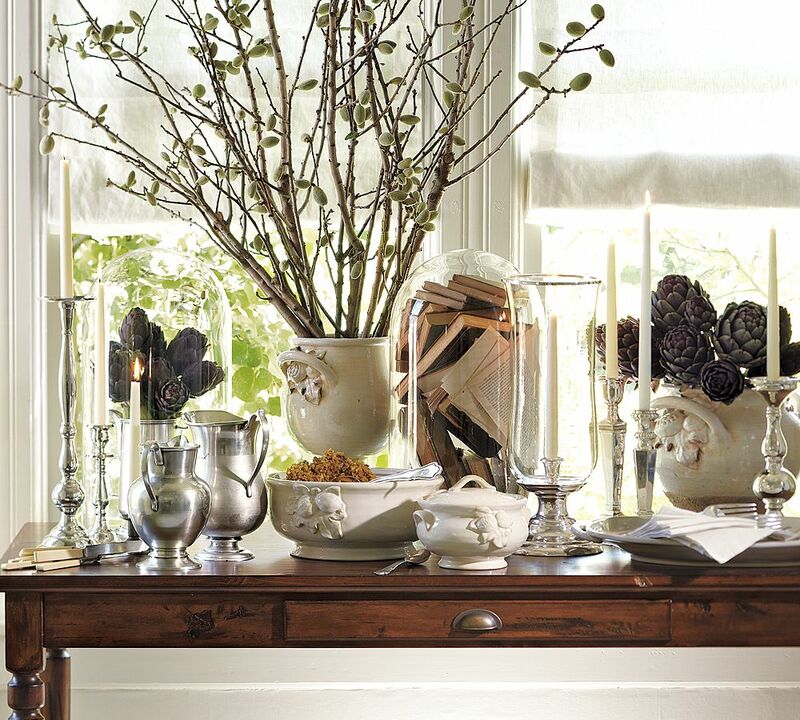 Garlands can go around chandeliers. 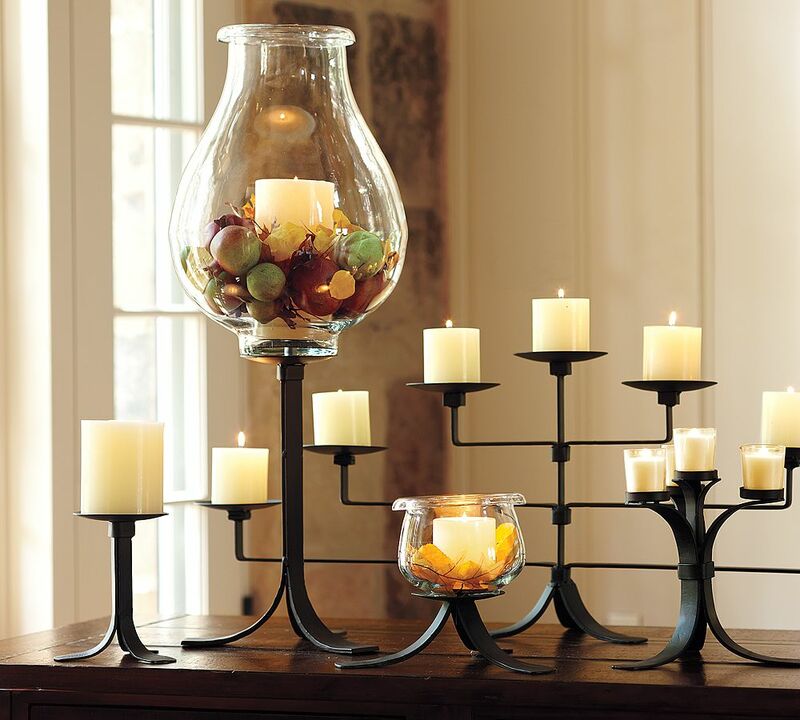 Group like items together for table center piece. 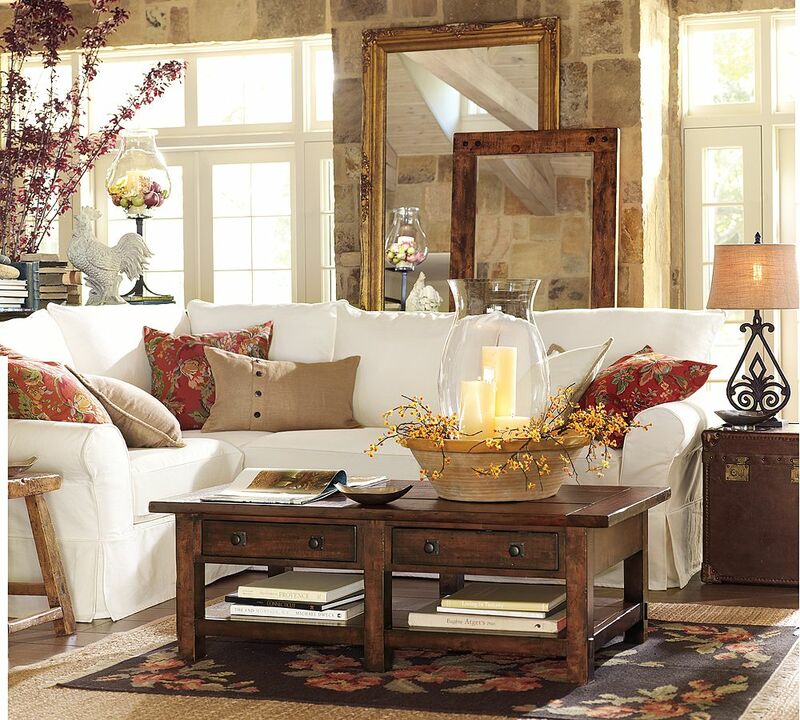 Source: Pottery Barn. 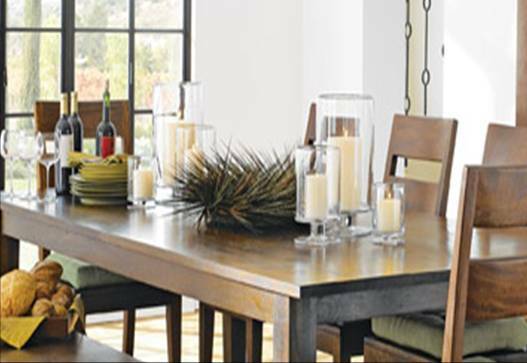 Group similar items for more impact. 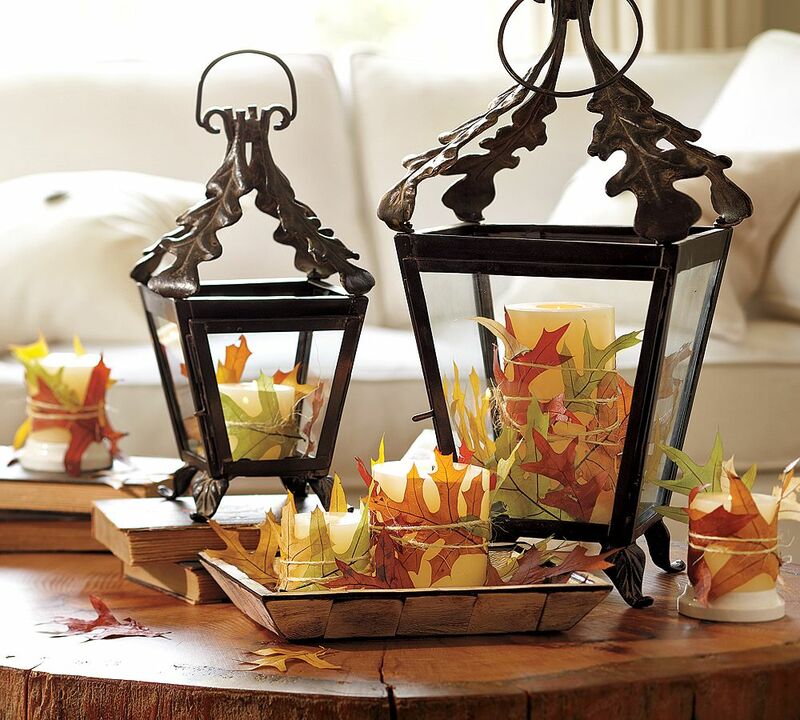 Source: Pottery Barn. 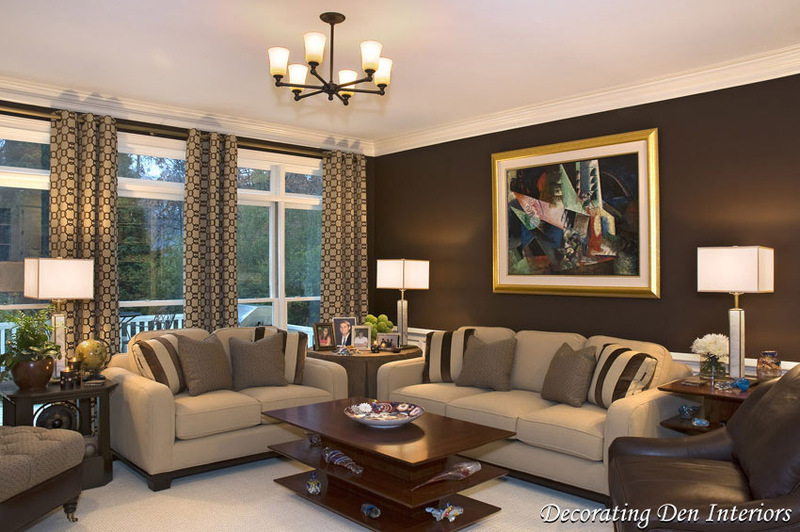 The entry way is a great area to prioritize decorating if your short on time. 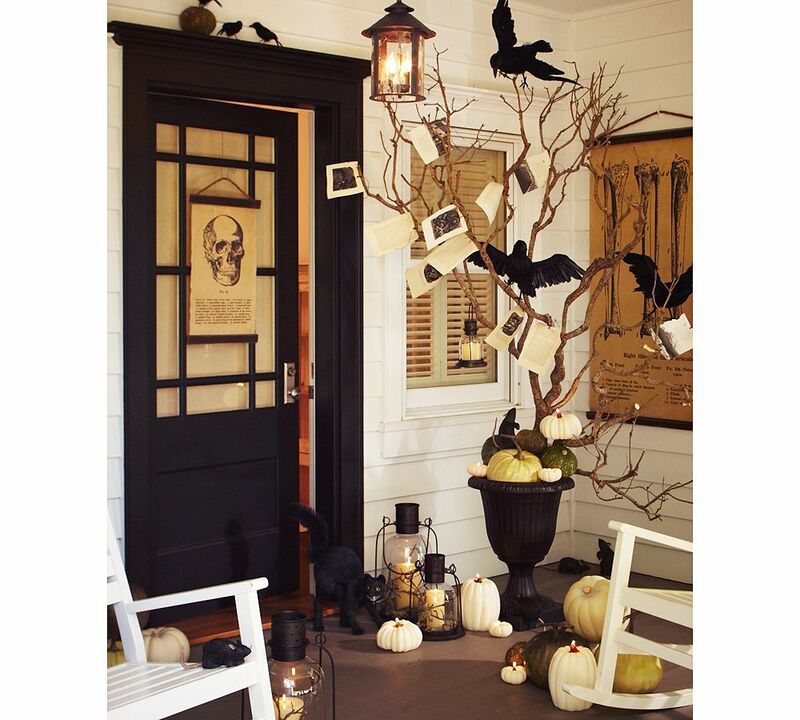 Photo Source: Potter Barn. 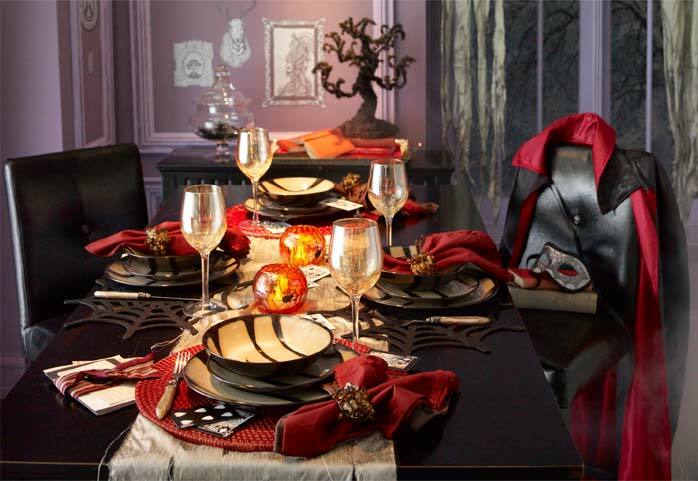 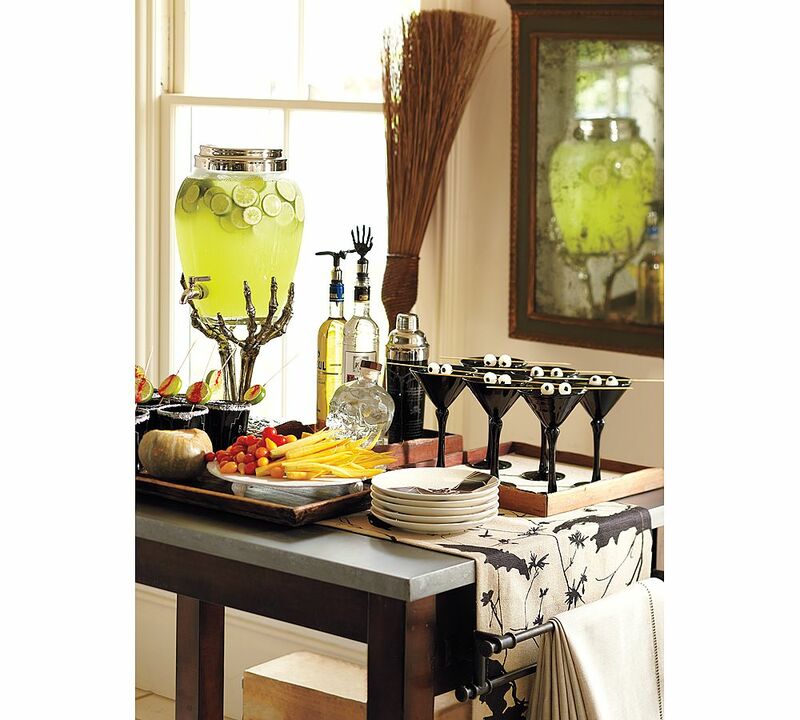 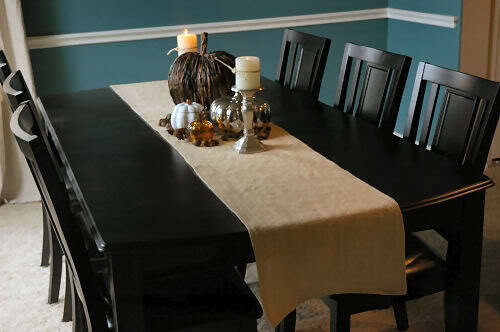 Create a table scape. 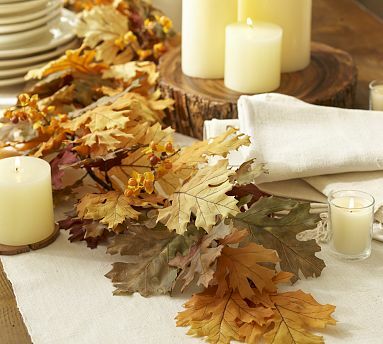 Source: Pottery Barn.